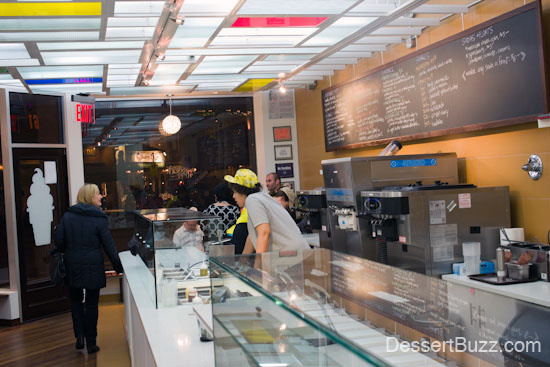 The Big Gay Ice Cream is set to open their second New York City location on Monday, December 3. The single biggest difference between the West side location and the East, is a decent-sized indoor space for seating. On the smart-business-sense side, the new location also has a full kitchen so they can make all their toppings, sauces, etc., on-site. 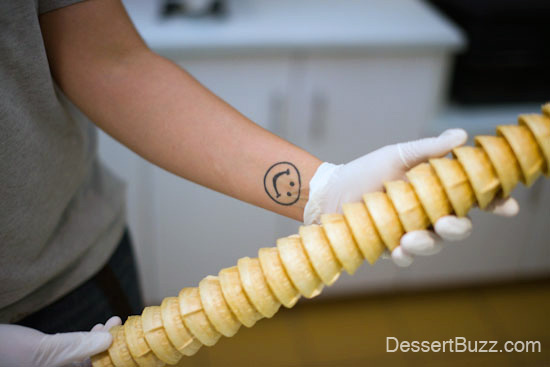 They hinted at possible non-ice cream offerings in the future. Of course they will still carry the Salty Pimp Cupcake by Robicelli Cupcake. The space is very pleasant, with a Mondrian-esque drop-ceiling and lots of light. 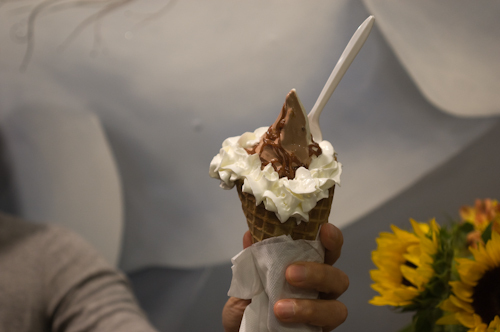 Most importantly, it will allow for plenty of indoor, mid-winter ice cream consumption. They had a soft opening this weekend where co-founder/owner Doug Quint told us they are still looking to personalize the space a bit more–and make it a bit “freakier”. Bryan Petroff (the other co-founder/owner) added “we need to make it warmer and homier” Right now the walls are completely bare, no unicorns, rainbows, Chloe dolls or anything! 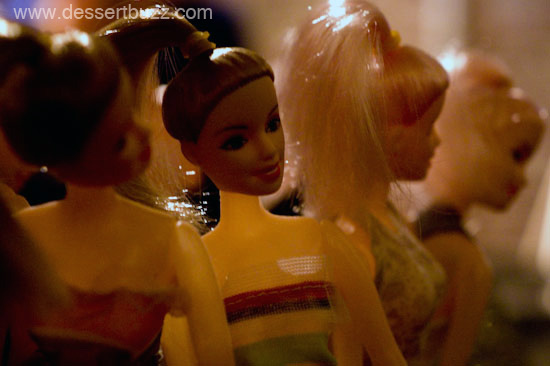 Hopefully, they’ll consider having a nook to feature the “Chloe” dolls from the NY Food and Wine Show. 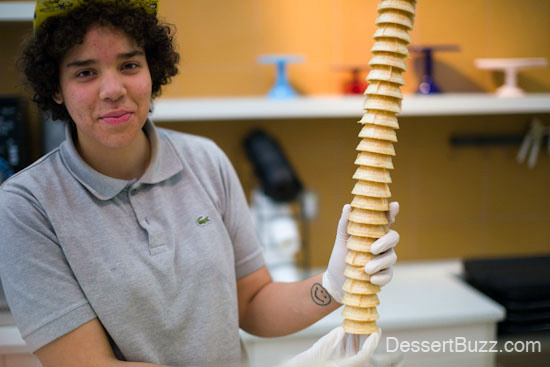 Big Gay Ice Cream Shop now has two locations: 61 Grove Street (Monday 12/3 – 12:00-12:00, future hours pending) and 125 East Seventh Street between First Avenue and Avenue A (Mon-Thurs 4pm-11pm, Fri-Sat-Sun 1pm-11pm, closed Dec 24-Jan 1). Their website is here. 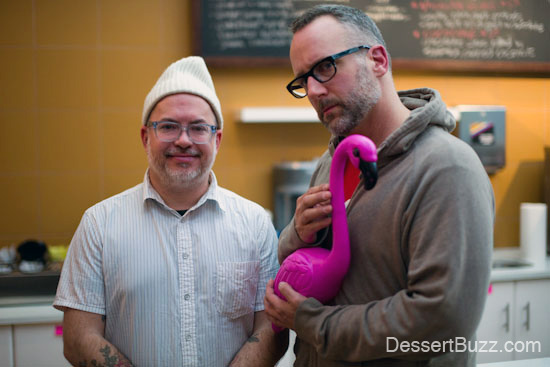 Follow DessertBuzz on Twitter to stay up-to-date on all Big Gay Ice Cream news.